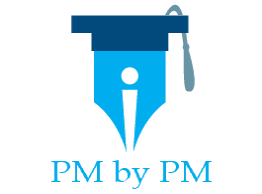 There is a lot of material you need to know for your PMP exam, and if you try to “hard memorize” all of the concepts, it may take you longer to remember everything you need to know. It is more effective to come up with rhythms or acronyms to help you remember concepts. For example, the seven quality control tools are: Cause and Effect Diagrams. Control Charts, Flow chart, Run Chart, Histogram, Pareto Chart, and Scatter Diagram. Take a C​heck C​ollection F​orm and Ru​n to a H​awaii P​ublic S​chool. See? Within less than 10 minutes, you will have the 7 quality control tools memorized. Next time you are studying for your PMP, if you are struggling with remembering a concept, make it a game for yourself. Before your PMP exam starts, you have 15 minutes to watch a tutorial from Prometrics. You probably don’t need the full 15 minutes to learn how to press next, go back, or mark a question for review. You can use this time, which doesn’t count towards your 4 hour exam time, to write a “cheat sheet” for yourself using the 2 blank pieces of paper you are given at the start of the exam. I recommend using only 1 sheet of paper because you want to save the other sheet to take notes or do calculations during your exam. A week before your exam, you should practice drawing your cheatsheet. In the digital age, we are used to using computers to format documents for us. It may take you several tries to get know how big your font can be to fit everything you want onto your cheat sheet. Two really great resources to include on your cheat sheet are the process chart and all of your formulas. There is no substitute for practice. The #1 way to help you pass the PMP is by doing a lot of practice questions. PMI has an unique style of wording questions, and the only way you can be prepared for it is to do as many practice questions as possible. Finding study partners and like-­minded peers is key to your success. It usually take months to get PMP certified, and during this time, you can get demotivated, or worse, even quit. Thus, it is important to keep yourself motivated by surrounding yourself in an environment where you are bound to succeed. A little friendly rivalry doesn’t hurt either. Let’s face it ­ passing the PMP is hard work. Unless you put in the hours to study, you are not going to get certified. To keep yourself on track, you must set goals for yourself. Set a date that you want to be certified by, and then work backwards to determine how much work you need to do everyday to reach your goal. It may mean waking up early to do a few practice questions before going to work or utilizing your time on transit to listen to a few podcasts. The temporary sacrifices are worth it because, in the end, you will be PMP certified. This article was submitted as a Guest Post.